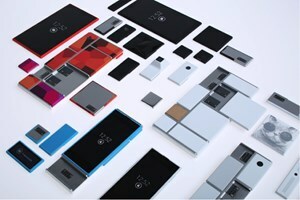 Motorola’s Project Ara plan to turn the mobile market on its head by offering a modular smartphone just took one step closer to reality to today with the announcement of a deal with specialist production company 3D Systems. The agreement, announced today, means that 3D Systems will “create a continuous high-speed 3D printing production platform and fulfilment system in support of Motorola’s Project Ara”. As part of the deal, the company has also agreed to develop “multi-material printing capabilities including conductive and functional materials” so that it will be able to make all of the components required for a fully functioning, but modular, smartphone. Once the development phase has been completed, 3D Systems is expected to remain the exclusive Motorola partner for supplying Ara smartphone covers and components.